NEW Adult Beginning Hip Hop Class! BEGINS SATURDAY, APRIL 6th. 2:30 pm with Michaela! 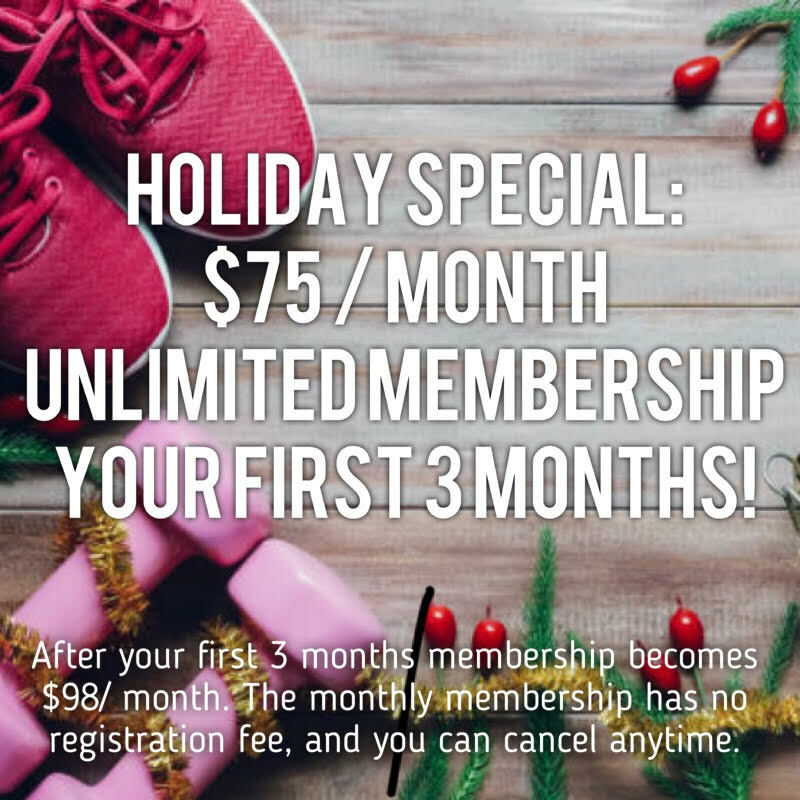 Give the gift of a membership or class package to a loved one this holiday season! Place your hands about 5 to 8 inches from the wall and lift up in to a downward facing dog pose. Practice your kicks by shifting your weight over your hands and hopping one foot up with the opposite leg extended long and straight. Try five hops on each leg. Donkey kicks get the core working and help keep you light on your feet. These kicks are also energizing and add cardio to your practice. When you feel ready to come into a full handstand, make sure you get your hips forward enough and use enough momentum to get your legs above your hands. Don't be afraid to use power from your legs and core to lift your legs up. Keep your focus on the mat between your hands.